Attorney General Jeff Sessions doubled down on "zero-tolerance" policies concerning migrant children being separated from their parents at the US border. Radio host Hugh Hewitt repeatedly pressed Sessions on the administration's harsh policies that separate children from their families after crossing the border. Sessions said it wasn't a "moral right" for families to be kept together. Attorney General Jeff Sessions doubled down Tuesday on the Trump administration's harsh stance on migrant families under intense questioning from conservative radio host Hugh Hewitt. When Hewitt repeatedly pressed Sessions if it was "absolutely necessary to separate" children from their parents, Sessions said "yes." He repeatedly compared them to the children of incarcerated criminals while describing a so-called zero-tolerance policy for those who enter the US illegally. "We believe every person who enters the country illegally like that should be prosecuted," Sessions said. "You can't be giving immunity to people who bring children with them, recklessly, improperly, and illegally." Hewitt's interview with sessions comes after President Donald Trump's administration came under fire after misleading reports of a border agency losing touch with children placed with American sponsors and officials' harsh comments on immigrant children. Sessions doubled down on warning comments he's made before, saying "if people don't want to be separated from their children, they shouldn't bring them at all." When pressed on the morality of separating immigrant children from their families, Sessions acknowledged the fragile nature of dealing with families. But he said it wasn't a "moral right" to keep them together and suggested it was a normal occurrence for prosecuted adults in America. 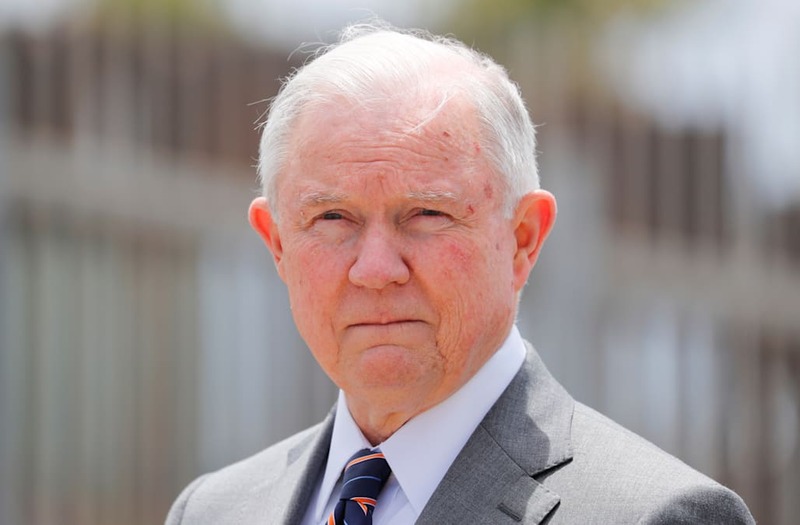 "It's always tough to separate children from their parents, but it happens, sadly, every day when people go to jail in America," Sessions said. Hewitt continued to press Sessions, appealing to his nature as a grandfather. "Can you imagine your grandchildren separated from your children for a period of 72 hours or even longer in a dormitory with up to, the deputy secretary told me, 1,000 other children and the impact on them of that?" Hewitt said. "Hugh, you can’t, the United States can’t be a total guarantor that every parent who comes to the country unlawfully with a child is guaranteed that they won’t be, is guaranteed that they will be able to have their hand on that child the entire time," Sessions said. "That’s just not the way it works." Over 10,000 migrant children are in US custody at more than 100 facilities in 14 states, none of which Sessions said he visited but said he believes "for the most part they're well taken care of." However, Hewitt said despite quality, being separated from family at all is a "terrible thing for a child," and the US should prioritize developing centers to hold families together. "We're the United States of America, we can afford to build these sorts of facilities," Hewitt said. "I agree with zero tolerance for people who aren't refugees or asylum seekers but if we can afford this, and it's so inhumane to take children away from their parents." "I'll agree with you that I wish the system would allow for that, I wish we could afford to do that and maybe we'll head in that direction," Sessions said. "But the law says parents who come unlawfully are subject to prosecution." Ultimately, Sessions leaned on the zero-tolerance policy he's pushed in the past. "We need to get this border under control, we need some new legislation through Congress," Sessions said. "We want to send a message to the world that if you want to come to America, make your application and wait your turn."